Do you know about washi tape???? It is life changing. Ok… maybe not… but still… it’s fun! Washi Tape is basically decorative scotch tape. It is great for scrapbooking, planning, decorating, and sprucing up life in general! 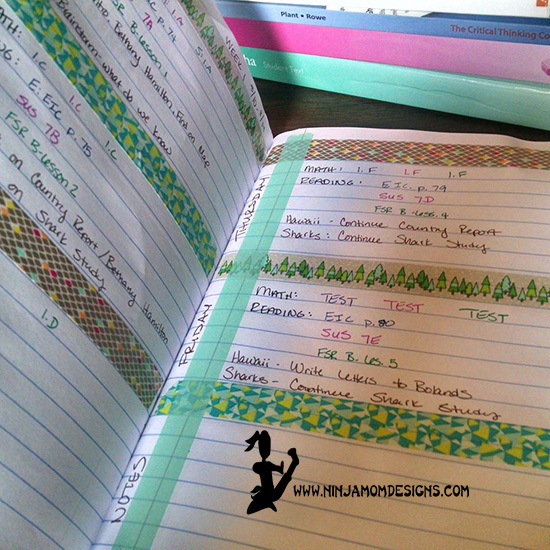 Here are a few ways that I use washi tape! I am a homeschool mom… a penny pinching homeschool mom! For my lesson plan book this year, I picked up a 25 cents composition notebook from Wal-Mart and Spruced it Up with WASHI TAPE! A section for each day of the school week and a section for notes. 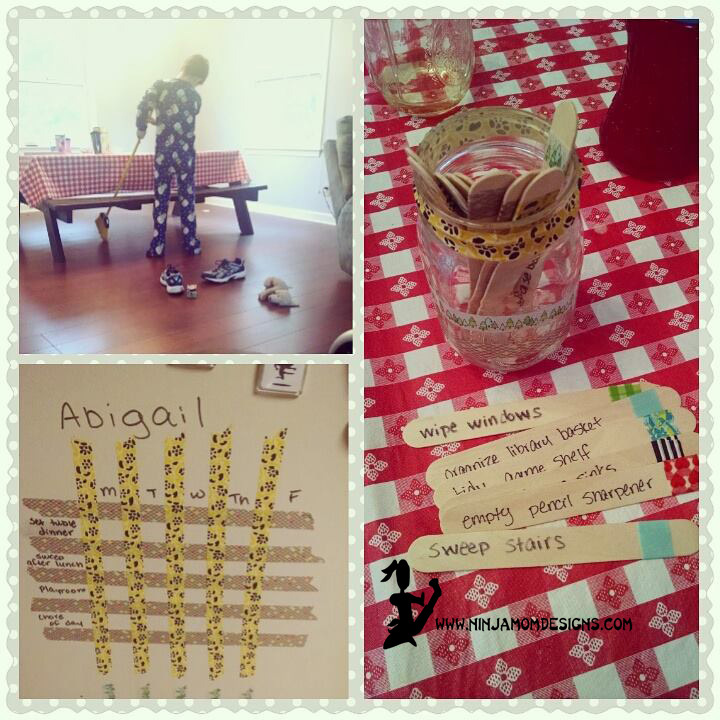 Last year, I was feeling rather ambitious and started a chore system… it works when I stay on top of things. Read more about it HERE. 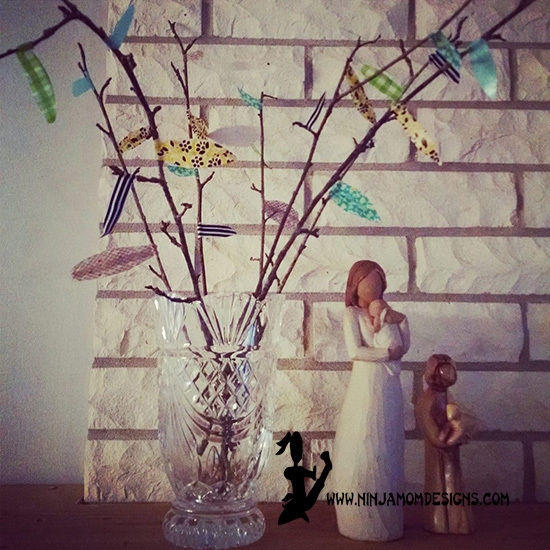 Add some WASHI TAPE to some twigs and stick them in a vase for some instant decor! 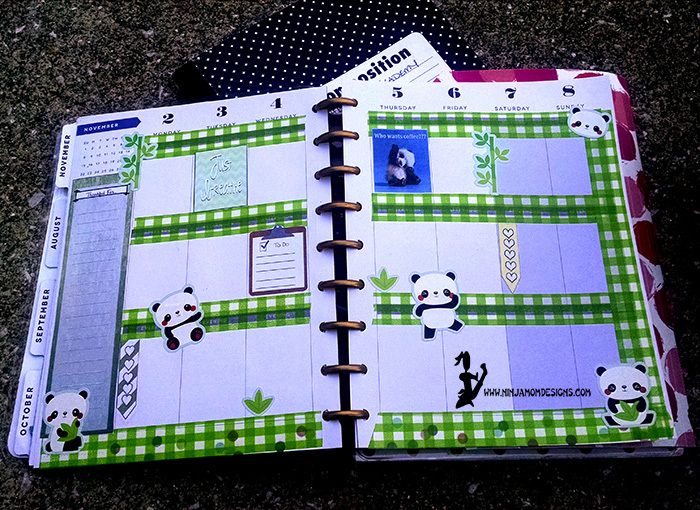 And, of course, there is my Happy Planner! I love to add Washi Tape around the edges and all across for some added POP! The picture above is the week that my kids have a big International Event with our Homeschool Group. We are doing China… hence the pandas! You can find Washi Tape in most craft stores, Wal-Mart, the Target Dollar Spot (sometimes), most Office Supply stores, Ebay, and Amazon. Did you know you can even find DIGITAL Washi Tape??? I have a couple of sets of Washi Clip Art in my Etsy Shop. Need more inspiration???? Follow my Washi Tape Board on Pinterest. 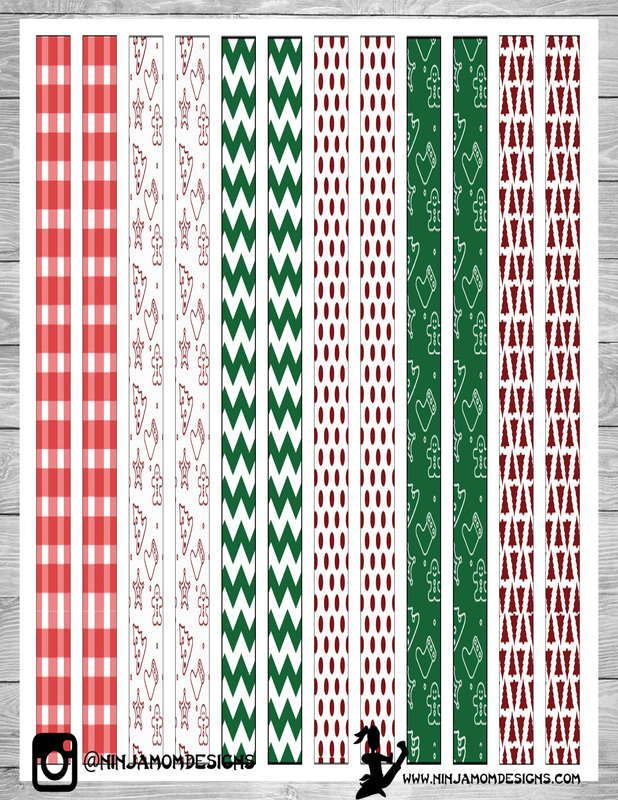 I also have this FREE Christmas Themed WASHI TAPE PRINTABLE!!!!! I love this washi tape! But then, I love all your work. Thank you ever so much for sharing your talent with everyone. I am a retired elementary secretary and am on limited funds, so I don’t have much extra money for being able to purchase the “goodies” that I so enjoy, so your freebies mean so much to me. I never sent a note home to parents without sprucing it up a bit with clip art or special borders. I do not like just plain and ordinary. It drove my principal nuts! I like for things to look special, and that is what your work makes my planner and a few other things look like, they are special (at least to me)! You are so kind! 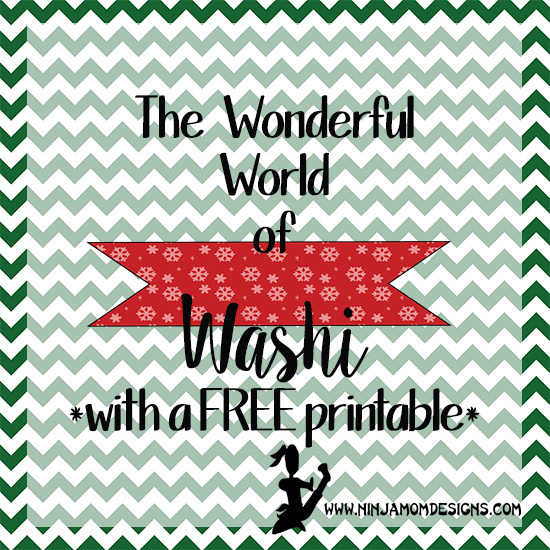 I love hearing that my printables are being appreciated! I simply cannot do plain and ordinary… so I get it! Thank you! I love all of your designs! I am a homeschool mom also. I like the different sizes for sure! Thank you so much for all your wonderful designs I have been enjoying them. You rock.